1. Stir self-raising flour together with salt & sugar. 2. Rub in butter into the flour mixture until it resembles breadcrumbs. 3. Make a hole in the centre of the flour & pour in the milk. 4. Mix in lightly & quickly. 5. Turn out onto floured surface, knead lightly. 6. Pat dough out to ¼ inch thickness. 7. Dip a 2” cutter into flour & cut the dough into rounds with the cutter. Cutter must be dipped into flour each time before cutting. 8. Place close together on lightly greased baking tray. Brush tops with a little milk. 9. Bake in 190ºC PHILIPS Air Fryer using the two tiered rack for 10 minutes or until golden brown. Lovely light scone. At last! 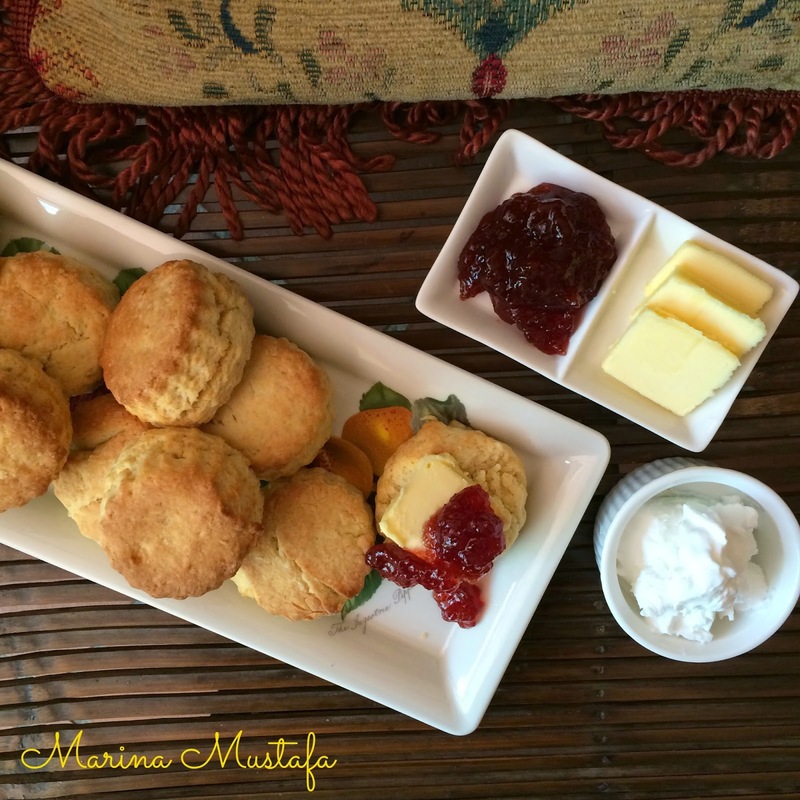 I've been trying to make a good scone for years and have finally achieved it with this recipe. Made them for MacMillan Coffee Morning and was asked for recipe from all of my friends. Thank you, again! That's really great to hear Eddie! Enjoy you Scones! Marina Mustafa is an author of over ten cookbooks. Cooking with Marina Mustafa ©. Powered by Blogger. Marina Mustafa. Author of ten cookbooks.